Let's Colour partnered with SOS Children’s Villages once again, in the program that encourages young adults to create opportunities to sustain themselves as well as to help drive a positive impact on unemployment.  Let’s Colour partnered with SOS Children’s Villages once again, in the program that encourages young adults to create opportunities to sustain themselves as well as to help drive a positive impact on unemployment. This program encourages young adults to create opportunities to sustain themselves as well as to help drive a positive impact on unemployment. We have made efforts to equip South African young adults with a variety of skills, such as painting and completing basic renovations. 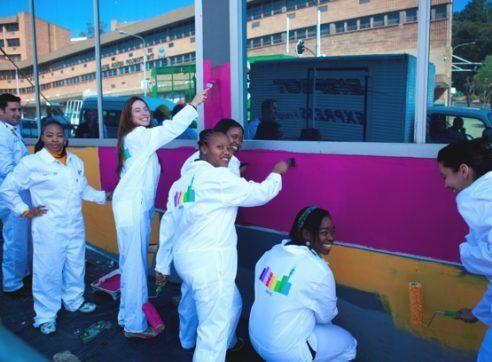 The main focus of this project was to educate South African young adults in painting and color. We took in twenty unemployed young people and started their training in becoming painters. After the training, they will have more opportunities for jobs and will be able to become more economically stable and active, to provide for both them and their families. For these purposes, we donated R100 000 to the Program of Technicological Careers (PROTEC). 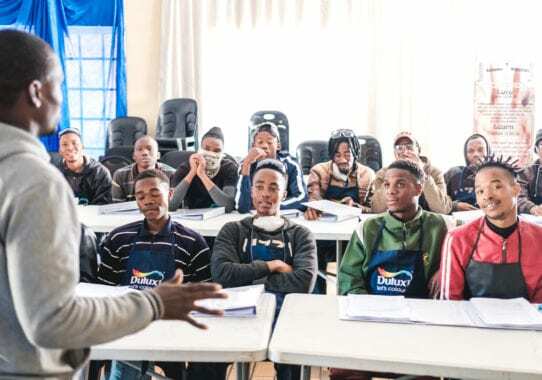 Dulux wants to support PROTEC’s excellent programs and initiatives that are mostly focused on disadvantaged young people who want and need to get an education in different fields of work. These twenty young people took the necessary lessons and training to become painters. 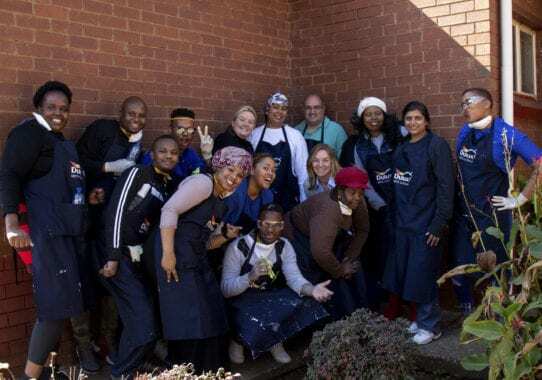 All of them were trained by SAPMA (South African Paint Manufacturers Association), so they learned about the art of paint and color. The program covered how paint is manufactured, how to use it correctly, how it should be applied, which paint is best suited to each substrate, and how substrates need to be prepared before the application of paint. Lessons which include Health and Safety relating to paint were also included. 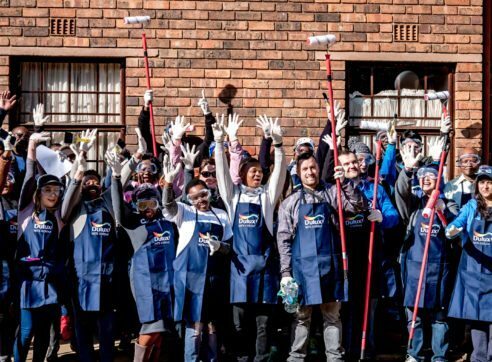 Mandela day, that takes place on the 18th of July, is an important day for South Africa and for both AkzoNobel and SOS Children’s Villages. Renovation activities were organized on houses for both male and female teenagers, in Mamelodi. Whilst the place has been well maintained, Let’s Colour wanted to add some joy to the lives of tenants. We work closely with the SOS Children Villages and children, always with the goal to give back to the community in ways that will make an impact. 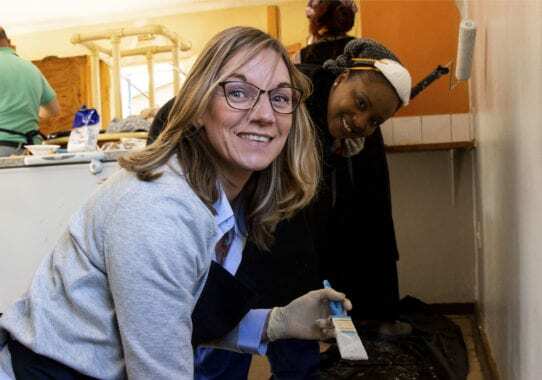 “Dulux is proud to be partnering with the SOS Children’s Village again this year,” said Nathalie Sweeney, Marketing Director for Dulux Sub Sahara Africa. “While this is not a direct solution to job creation, we strongly feel that empowering the young adults with practical skills increases their opportunities to become entrepreneurs. This can be a key solution to fighting the current statistics on the employment of young adults in South Africa. We plan to continue training youth in 2019,” continues Sweeney. We are committed to creating employment through education and training skills within South African contexts. 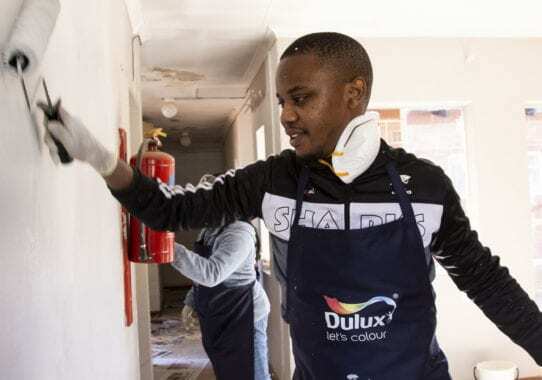 Dulux is hopeful that young people will carry on within the industry and make their lives and the lives of their families better through the skills that this project has taught them. 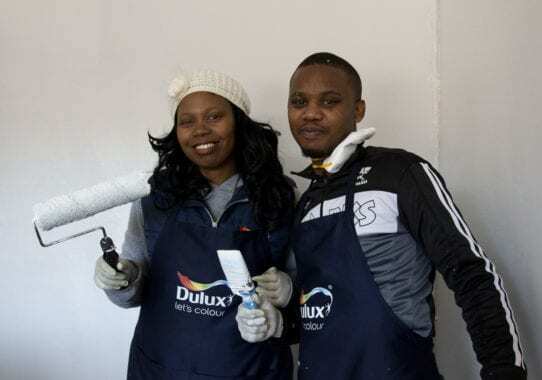 Find out more about Dulux in South Africa.